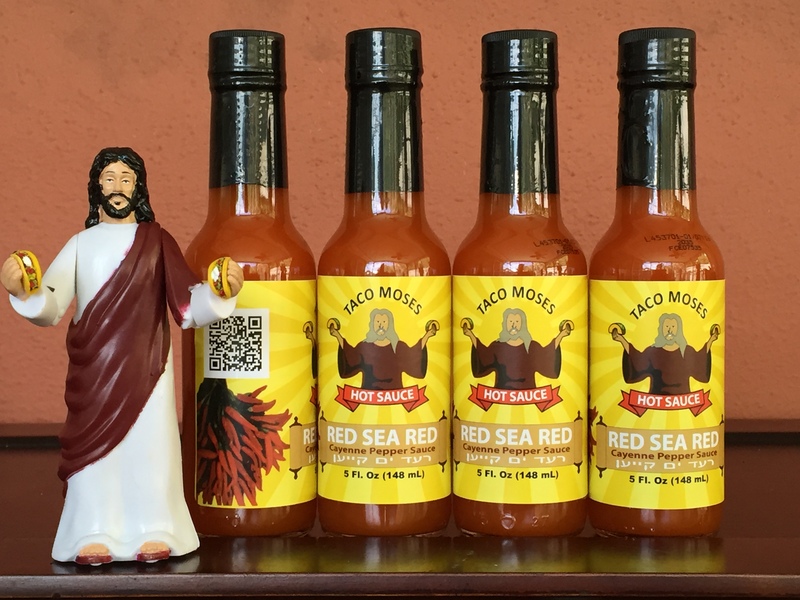 For a limited time while supplies last when you order a bottle of out Limited Edition Taco Moses Red Sea Red Cayenne Pepper Hot Sauce you will get a free Taco Moses action figure with each bottled purchased. This limited edition offering won’t last long so be sure and get over today to pick up your sauce and action figure before they are sold out. This sauce is sure to make you next meal an adventure and your tacos great again! 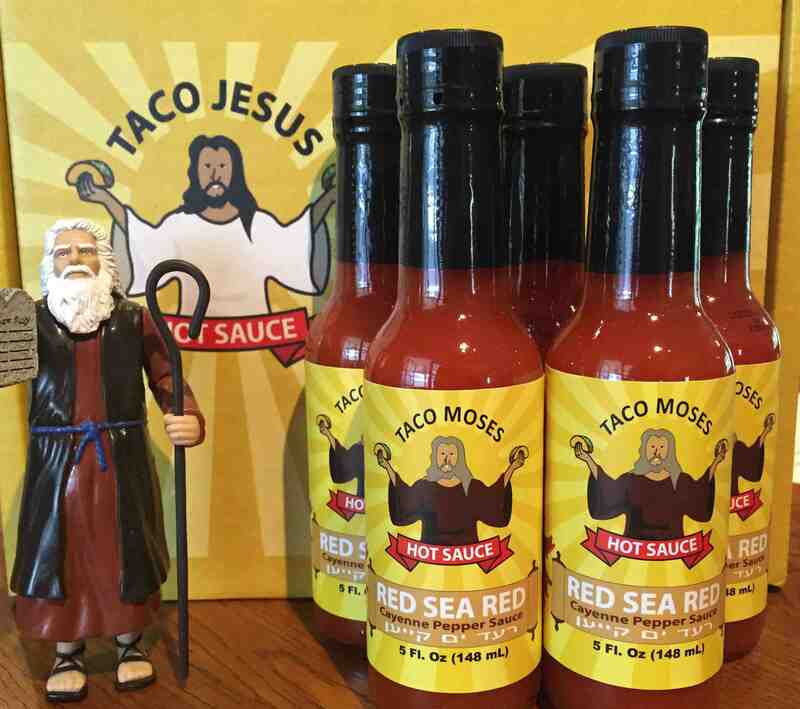 For a limited time only Taco Moses is back with his nearly world famous Red Sea Red Cayenne Pepper Hot Sauce. This limited edition label is only available for a short time and when its gone it is gone, so hurry on over to the Taco Jesus shop to pick up yours today. The perfect way to share the Taco Gospel with your Jewish friends along with the great taste that Taco Jesus Hot Sauce is known for.